We’d love your help. Let us know what’s wrong with this preview of The Girl in the Mirror by Constance McKee. Six months later, distraught and confused, Jodi takes an accidental overdose and has a Psychiatrist Jodi Kendall adores her husband, Michael. They have a serious argument in which she detaches from her body—a coping technique she’s never revealed to anyone. The next day, Jodi can’t remember the details of the argument and, before they can reconcile, Michael suddenly dies. 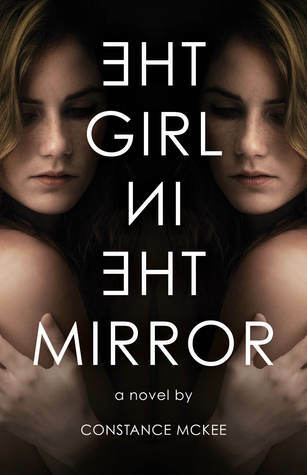 To ask other readers questions about The Girl in the Mirror, please sign up. Is it Young Adult? If so, would it be appropriate for a mature 12 year old? This was a very heartfelt story that was both enjoyable and emotional at times. The characters are likable while also contributing in unique ways to the story. I particularly like how the author weaved the main character's struggle into an elaborate journey that will take the readers on a wild ride. The whole topic of near-death experience is something interesting that really gave the story a different feel that was refreshing. Overall, this book is well written and enjoyable to read. I really enjoyed this book! It's the story of a psychiatrist whose husband dies suddenly and unexpectedly. It is also the story of life after death, near death experiences, wormholes, and other dimensions. McKee manages to deal with both the earthly and the ethereal in a believable and compelling way. I loved it! “The Girl in the Mirror” explores the painful attempts of a young woman to reunite with a husband whose death was sudden and unexpected. Jodi’s husband has a fatal heart attack following a night of troubled intimacy, a night which she cannot fully remember. In the aftermath of his death, fueled by a combination of frustrated grief and drugs, a near-death experience allows Jodi a brief reunion with Michael. This experience fuels Jodi’s heartbreaking obsession on getting back to Michael, whatever “The Girl in the Mirror” explores the painful attempts of a young woman to reunite with a husband whose death was sudden and unexpected. Jodi’s husband has a fatal heart attack following a night of troubled intimacy, a night which she cannot fully remember. In the aftermath of his death, fueled by a combination of frustrated grief and drugs, a near-death experience allows Jodi a brief reunion with Michael. This experience fuels Jodi’s heartbreaking obsession on getting back to Michael, whatever the cost. As the story progressed, I was torn between wanting Jodi to be successful in reuniting with Michael and wishing she would make peace with his memory and move on with her life. McKee’s clever ending manages to satisfy both wishes. This is a story peopled by realistic and likable characters. I’d like to see more of Dr. Bentley and the delightful Andalusia Jones in the future. If you have ever wondered whether a near-death experience is possible, this book may surprise you with all of the scientific research that has been done on the topic. I won this book through Goodreads giveaway. The girl in the Mirror by Constance McKee was a unique read. I have never read a book that dealt with near death experiences and beyond. It was a page turner from start to finish. This is a must read for anyone who loves a good mystery. Constance McKee is a retired psychiatrist who has used her experience to craft a fascinating book about a psychiatrist's desire to repeat a near death experience so that she can revisit her recently deceased husband. The characters are well drawn and the story itself is complex and entwined. This is a story about grief, loss and how life must go on. Very interesting and entertaining book. I enjoyed the otherworldly side as well as the medical aspect of the novel. Recommended read for someone who likes books with depth and meaning. This is a fascinating book with a very novel take on the link between self-discovery and inter-dimensional travel. I thought it cleverly crafted, and I loved the outcome. I loved so much this novel, I was always looking to find more time to read. Like I put away things important to do and cleaning time just to be able to read more page. When I was unabled to read (like at work) I was just thinking about what will happen to Jodi? I'm a bit sad my mother don't understand English at all because I'm sure she will love this story. I keep an eye open for if it will be translate in French for her. I received a copy of this book as part of the Goodreads giveaway. All opinions are my own. This book was way more than I expected it would be. This is the first book I've read that deals with depression, loss, and a good amount of psychology, which I love. Jodi a very lost character who does not know the meaning and value of her life without her husband Michael who dies suddenly. After her attempt at suicide, Jodi saw Michael in what she calls a parallel universe or "hallucination", no one truly I received a copy of this book as part of the Goodreads giveaway. All opinions are my own. Jodi a very lost character who does not know the meaning and value of her life without her husband Michael who dies suddenly. After her attempt at suicide, Jodi saw Michael in what she calls a parallel universe or "hallucination", no one truly knows. In her attempts to get back to the man she loves, she makes all kinds of discoveries while dealing with her depression. This book is about self-discovery and second chances. I really enjoyed this book a lot. I liked seeing the process Jodi went through to deal her mental illness and see how much her life had changed, it helped her to heal and ultimately get her life back. An incredibly fascinating and interpretive look at the way we view psychiatry, mental illness, and our own reality. *I received this book for free in a Goodreads First Reads giveaway in exchange for an honest rating/review. Excellent read. I loved the premise and the characters. I would definitely recommend! Jodi Kendal is a Psychiatrist by profession and married to Michael whom dies in the first few pages having cardiac arrest. Couple of month later by accident she takes overdose - sleeping pills - and encounters a near-death occurrence with her dead husband but she recovers finally. The experience is felt so real that she consults with one of the near-death experience expert; Dr. Simon Bentley. During her consultations she finds out that Michael is alive but in a different but equivalent to this w Jodi Kendal is a Psychiatrist by profession and married to Michael whom dies in the first few pages having cardiac arrest. Couple of month later by accident she takes overdose - sleeping pills - and encounters a near-death occurrence with her dead husband but she recovers finally. The experience is felt so real that she consults with one of the near-death experience expert; Dr. Simon Bentley. During her consultations she finds out that Michael is alive but in a different but equivalent to this world. She tries to meet Michael one more time and succeeds to meet him several times and she becomes obsess with the issue which changes her life. Jodi puts her all effort to use all the means to reunite with her husband and spends time as much as she can with him. The understanding of Near-Death Experience (NDE) and explanation that the author gives to her readers is a super knowledge, maybe cuz of her profession as a Psychiatrist and Forensic psychiatrist for many years. If you love paranormal activities and stories, this is the book you need to read. “Reality is, after all, very subjective.” The perfect line to sum up this intriguing story that stretches your belief systems .. is there life after death, is there a parallel universe to our own, can you go there, and would you if you could? I had to stop myself from skimming to find out what happens at the end. I'm not sure I believe in the parallel universe, well I probably don't or can't wrap my head around it, but Near Death Experiences, yes ... I suppose, well maybe. A very difficult subjec “Reality is, after all, very subjective.” The perfect line to sum up this intriguing story that stretches your belief systems .. is there life after death, is there a parallel universe to our own, can you go there, and would you if you could? I'm not quite sure how to rate this book. If I'd never read any other books involving Near Death Experiences, had never croaked on the operating table, and didn't know someone personally who not only had an NDE, but is also a respected lecturer on the topic, I would have probably rated it higher, simply because of how astounding this fascinating and semi-taboo subject is to read about the first time. Because the author is also a psychiatrist, I was hoping she'd be offering some new insights into I'm not quite sure how to rate this book. If I'd never read any other books involving Near Death Experiences, had never croaked on the operating table, and didn't know someone personally who not only had an NDE, but is also a respected lecturer on the topic, I would have probably rated it higher, simply because of how astounding this fascinating and semi-taboo subject is to read about the first time. Because the author is also a psychiatrist, I was hoping she'd be offering some new insights into the phenomenon. Then again, perhaps she did. Perhaps the parts of the book I found to be beyond believable are actually possible, or even plausible. She certainly isn't the first to suggest parallel existences; many prominent scientists have said the same. The concept of multiple existences/realities as a possible explanation for multiple personality disorders and other mental issues is certainly intriguing, if nothing else. Two actual manifestations of the same individual inhabiting the same body at the same time... and communicating with each other? Bizarre... but entertaining. And thought-provoking. This is a captivating, thought-provoking look at parallel universes, out-of-body experiences and near death experiences. Sound woo-woo and too far out there? Not under the hand of this skilled writer. Debut author Constance McKee creates a credible world and weaves a tale that takes the reader on a fascinating journey that resonates long after the book is finished. I'm interested in books that explore what happens after death. This book takes a different approach and Jodi gets to see her deceased husband in an unexpected way. I was a little impatient for her to see him again, and much happens before that happens. Connie was in private practice in psychiatry for many years before becoming a forensic psychiatrist, working with the criminally insane. The work was fascinating, but also stressful, so she decided it was time for a change. She'd heard amazing stories from her patients--truth is, indeed, stranger than fiction--so she decided to try to put those stories, and her feelings about them, into words (whi Connie was in private practice in psychiatry for many years before becoming a forensic psychiatrist, working with the criminally insane. The work was fascinating, but also stressful, so she decided it was time for a change. She'd heard amazing stories from her patients--truth is, indeed, stranger than fiction--so she decided to try to put those stories, and her feelings about them, into words (while carefully protecting identities). When she realized that writing wasn't as easy as she thought, she enrolled in the Stonecoast program at the University of Southern Maine, where she received a MFA in creative writing. In addition to this novel, she has written short stories: one of which was given an award by the Atlanta Writers Club, and another appeared in the online literary magazine "The Perch," which is connected to Yale University.